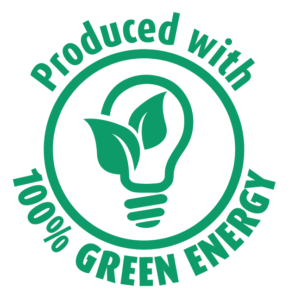 From November 2017 Mayeri uses 100% renewable energy and it can be said that the company’s products have been produced using green energy only. Thermal energy is bioenergy produced in a boiler house, which was constructed for the company in 2014. The boiler house is fuelled by chipped wood acquired from local companies. In comparison with fossil fuels, using bioenergy significantly reduces CO2 emissions, because when using bioenergy the CO2 emissions are considered to be non-existent (the CO2 released from burning is photosynthesised back in to the plants and the greenhouse effect does not increase). 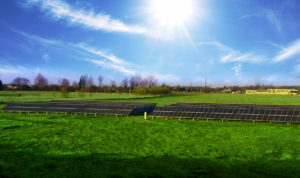 Electricity comes from a 200kW solar park founded in 2017, which fully covers the company’s general need for electricity. There are 80 solar panels on an area of 1 ha next to the company. Due to the investments made Mayeri has achieved full energy independence. nergy”, which can be found on the product labels and packages. The factory has a working waste plant – the waste produced is sorted and either pressed or recycled as much as possible and it is mostly reused, in order to reduce transportation by air. The bottles made of PET material are produced by ourselves to reduce environmental pollution from transport. We are also using refill packages to reduce the amount of waste packaging released into the environment. The laundry and cleaning products are in compliance with the criteria of both the EU Ecolabel and the Nordic Swan Ecolabel and have the relevant certificates. If possible, Mayeri prefers packaging made from recycled materials. For example, the cardboard boxes for washing powders are made entirely out of recycled materials.